One of the most innovative and hyped gadgets for your iPhone is Apple AirPods. Apple AirPods are the talk of the town since its launch. There are a number of reasons for this including – They are wireless, sleek and provide an exceptional usability for Apple users. If you are using it with your iPhone’s or Apple devices, they will connect seamlessly and the new W1 chip will conserve your battery. 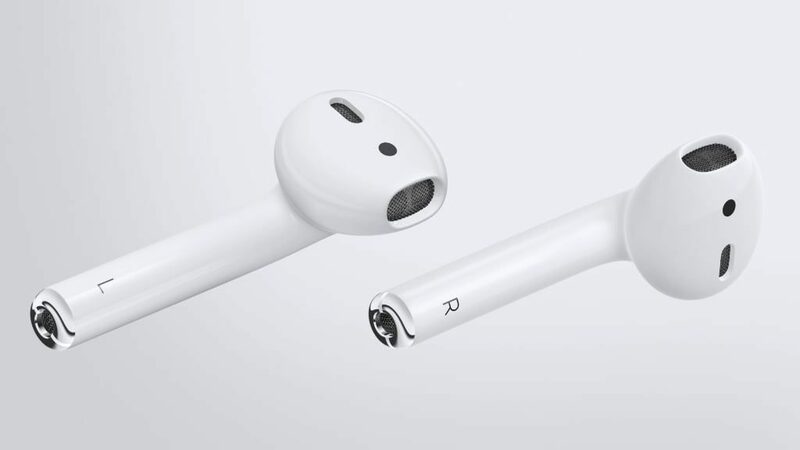 They also remember the last connection and if the device is available, they get connected as soon as you put them in your ears. But what if you do not want to spend as much as Apple’s AirPods or want to have similar design with your Android handsets. There are other brands which are leaving their own mark amongst non-Apple users particularly for their sound quality and advanced features. So if you are looking for similar wireless experience here are some of the Bluetooth Headphones from other manufacturers which you can buy. 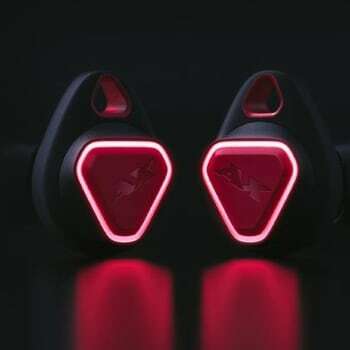 These are on the best Apple AirPods Alternative which can connect to your devices as soon as you put them in your ears. They replicate the Apple AirPods functionality and power on as soon as you remove them from the case. They also power off automatically after placing them back to the case. The Earbuds can last as long as 72 hours on a single charge with the help of charging case. Charging case comes with 2200-mAH battery which can charge the earbuds around 18 times. You can play music up to 3-4 hours before using the case to recharge your earbuds. You can also charge the smartphone with the case battery. 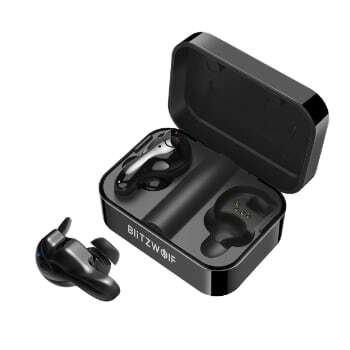 These earbuds work with Bluetooth 5.0 technology to conserve the battery of the smartphone. IPX7 certification make sure that you can easily use them in little rain or sweat. If you are not happy with the performance, you can use the 90-days money back guarantee to get them replaced. AxumGear is ruling most of the teenage hearts because of its excellent sound quality along with 8mm deep bass that takes your music to the best level. Though they cost even more than Apple AirPods, it comes with certain advantages like Sweatproof design and deep bass. The company proudly calls them ‘The only wireless earbuds that never fall out of your ears’ while you’re working out, cycling, shopping or maybe just lying on the couch. They are equipped with superior sound quality along with super fast charging which lasts for up to 3.5 hours. The case also includes a portable Type-C charging which can be used while traveling. 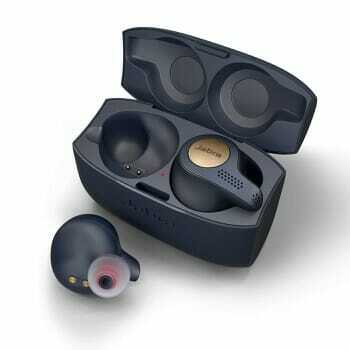 The earbuds are sweatproof and also works in the case of long ranges. The HD omnidirectional microphone blocks out the external noise. All the features make these wireless headphones one of the best Apple AirPods Alternative. Jabra as a company is known for its best quality sound accessories and Jabra Elite is no such exception. These pairs of lovelies are Alexa, Siri and Google Now enabled and comes with a charging case. You can also track your workout sessions with the help of integrated motion sensors. The earbuds last up to 5 hours along with good bass and high sound quality. The design is also comforting and fits in easily. They are sweatproof and are perfect for outdoor activities. It also includes a customizable equalizer and its wireless range works up to 33 feet. It’s a pretty good catch if you’re someone who loves music. Motorola Verve has some interesting user reviews mainly due to its 12 hour playback time and excellent sound quality. The wireless earbuds do not give 12 hours play time but still has decent power backup. This too comes with a charging case which charges your earphones when you’re on the go or when you’re not using them. Each charge gives around 3 hours of playtime and then you can use the charging case to recharge your earbuds. This makes sure that you’re always ready for some good music. The earphones are sweat and waterproof in nature along with providing a tight fit. It also includes dual mics for calls and is Siri and Google Now enabled. There are some issues with the software which gives some glitches while using the earbuds but with one-third of Apple AirPods price they are decent. 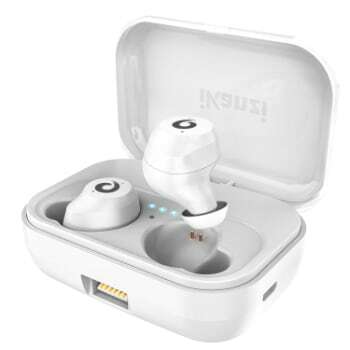 This is one of the earbuds which comes very close to Apple AirPods auto connect feature. You just pull them out of the case and they will connect to your phone which makes them a good Apple AirPods Alternative. The charging case is little bigger than Apple AirPods case but still holds enough battery to run for almost 18 hours. They come with deep bass and noise canceling function which will make it easy to use in any kind of surrounding. The earbuds are backed up with no question asked money refund policy for 3 months. You can get these earbuds with almost one-third of the cost for Apple AirPods. The best part of these earphones is that they instantly pair with the phone once they are removed from the case. It provides you with a 33ft wireless connection along with strong connectivity. 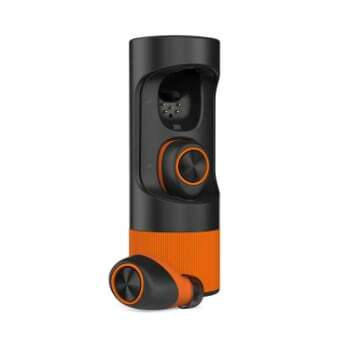 These earbuds come with a charging case and also provides you with a sleek and compact design. It comes with a 3.5-hour stand by time and you can also have bilateral calls along with some great music on the go. It also supports binaural paring so that you can enjoy sharing the same tunes with your loved one. They are affordable and can also be used by old people as they get accustomed to the settings. 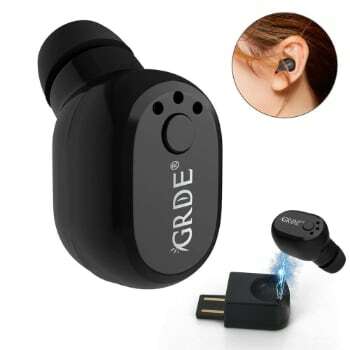 GRDE earphones pairs faster and are uniquely best known for its noise-canceling quality. 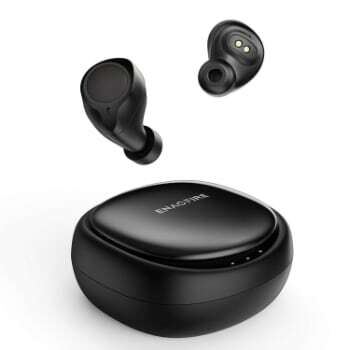 These earbuds take the noise cancellation to the next level and allow you to make calls and listen to the music without an ambient noise disturbance in a car or on the street. It comes with built-in HD microphones which helps you make clear calls. These earbuds gives up to 6 hours of talk time and 1.5 to 2 hours of music time with a single charge. It is compatible with almost all the devices in the market. The design is also decent and ear fit enabled. It also includes a flash drive charger which can be used on the go as well. If you are looking for amazing sound quality for your music, these earbuds have you covered. They are almost double the price of Apple AirPods but provides great and clear sound. 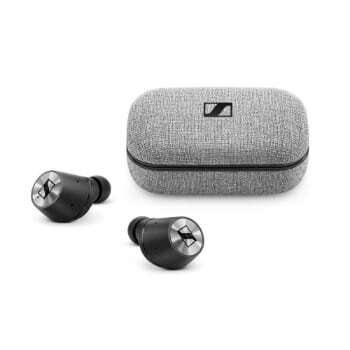 Sennheiser makes some of the best headphones in the industry. Along with a dynamic design, these earphones also provide you exceptional clarity that makes you forget the external world. It comes with an intuitive touch interface which allows you to operate the earphones easily with finger touch operations. It also helps you stay aware of the surroundings along with easy chatting. The earphones are durable, tough and splash resistant. They last up to 4 hours with a single charge and can stay alive up to 12 hours with the help of charging case. So these are some of best Apple AirPods alternative which you can buy from the market. Which one you are planning to get for yourself?